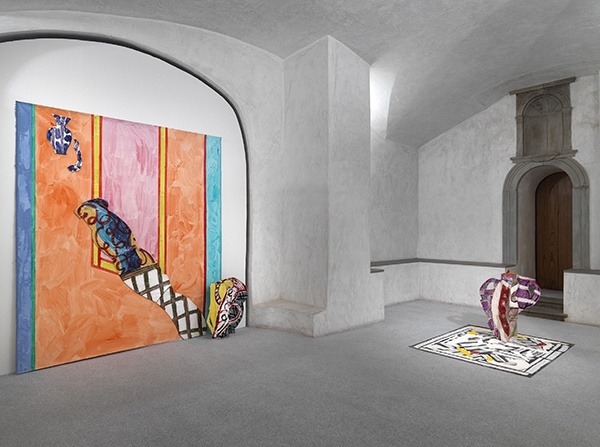 In her more than sixty years of career—45 of which were spent living halfway between New York and Antella, a hamlet of Bagno a Ripoli–Betty Woodman has been recognized internationally as one of the most significant and influential contemporary artists. Her career began in 1950, when she took on the profession of ceramist with the intention of creating objects whose beauty could enrich everyday life. 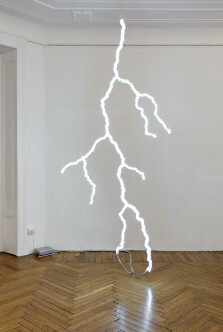 Since then, the “vase” shape has become an object of study for her, as well as her inspiration and basis for production. 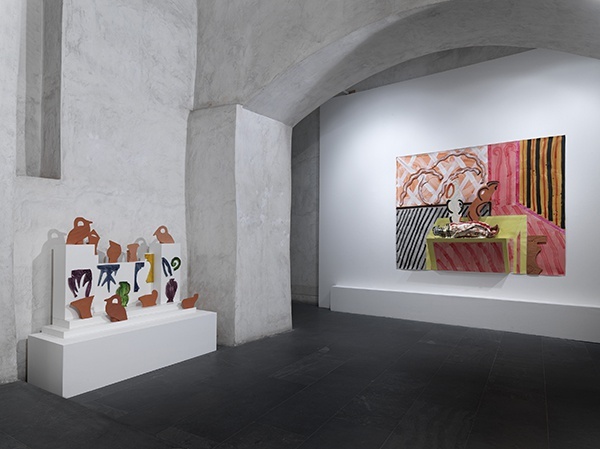 To deconstruct and rebuild its form, she created a complex and exuberant body of ceramic sculpture that distinguishes itself for the wide range of influences and traditions, often experienced firsthand during her numerous trips. 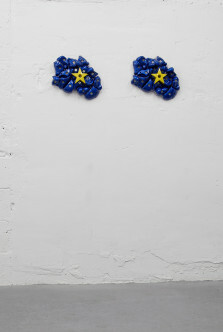 Over the years, through work that invokes and at the same time challenges the traditional elements of Italian ceramicists, the American artist has imaginatively reinvented the very concept of ceramics, finding her personal and highly authorial place within the contemporary art scene. 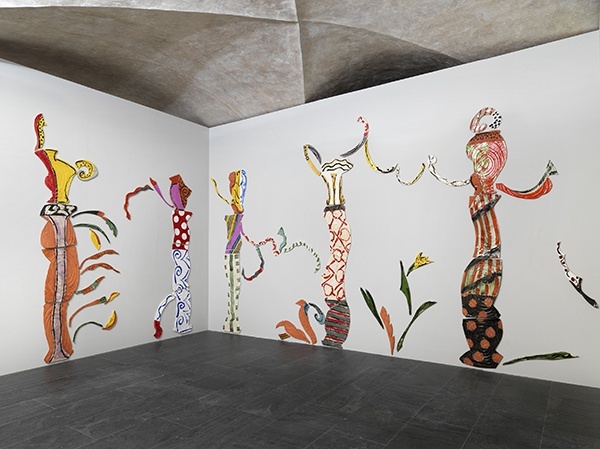 It is no coincidence that her most recent works—the last 15 years of work covered by the exhibition-has played a vital role for at least one generation of young artists, who have taken her experimental approach that is still respectful of the tradition. 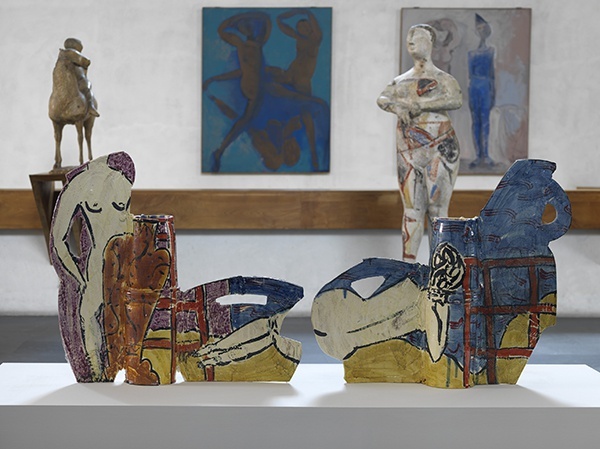 Even though ceramics remains the alpha and omega of her artistic dictionary, through the use of bright colors and eccentric shapes, her works have progressively gone beyond the boundaries of decorative art to forcefully enter into the area of the visual arts, often crossing boundaries into painting: in Woodman’s work, a vessel can take the forms of human bodies and animal figures, pillows or flowers, compare a history of different cultures–from Greece to China with Aztec, Etruscan, or Roman references, ranging to the Italian Renaissance or casting classical architectural shadows on objects illuminated by the light of European Pop Art (without ever forgetting the debt to American painting of the 1970s). 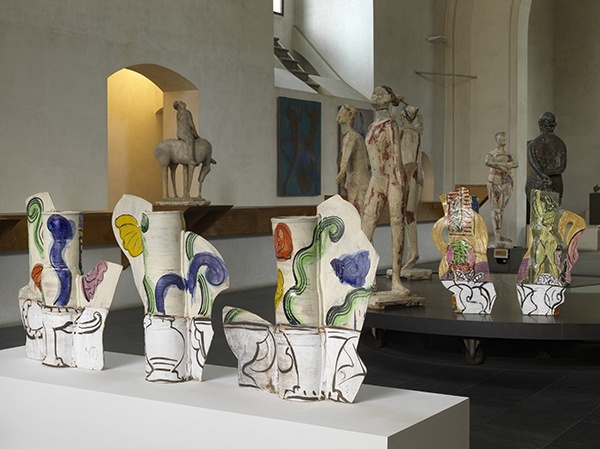 It is a mix of ceramics and painting, made even more explicit by the recent addition of canvasses with three-dimensional elements, and intentionally emphasized in this exhibition: here Woodman’s works could be directly compared with Marino Marini’s sculptures, on the one hand–through a staging, in the mezzanine of the museum, which highlights the synergies–and on the other, with the heroic painting adventure of the Florentine Quattrocento–the 15th-century–specially echoed by the work that opens the exhibition, named Of Botticelli from 2013. 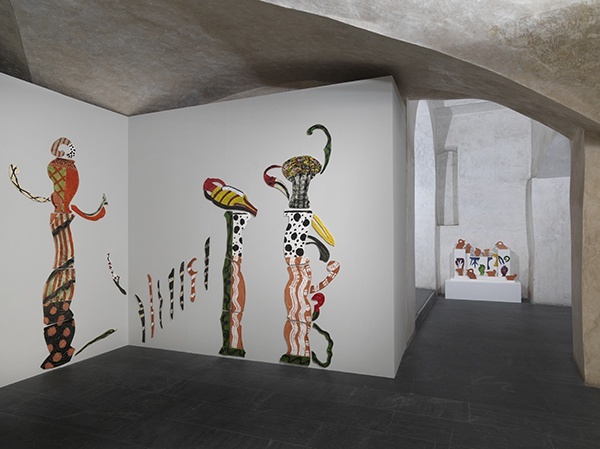 It is a composition that fills the first room of the exhibition with ceramic fragments that allude to columns wrapped by vines and Renaissance views that open onto imaginary gardens. 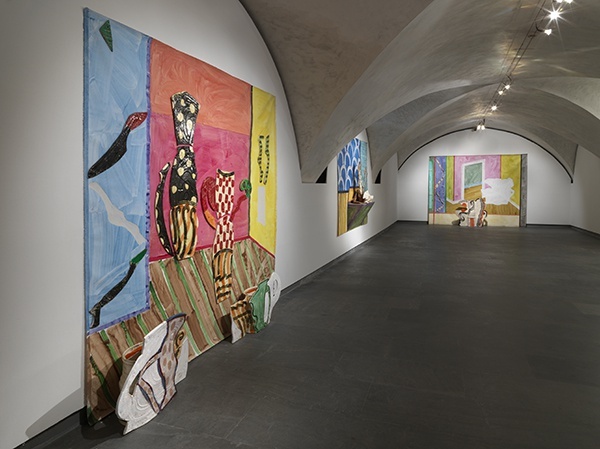 The second room is characterized by the dialogue between the most dated work in the show, Theater 3 (2001), and one of the most recent, Lucia’s Room (2013), a work in which the combination of painting and ceramic becomes more palpable and one of the recurrent motif of Woodman’s work–the “still life” iconography–becomes more marked. 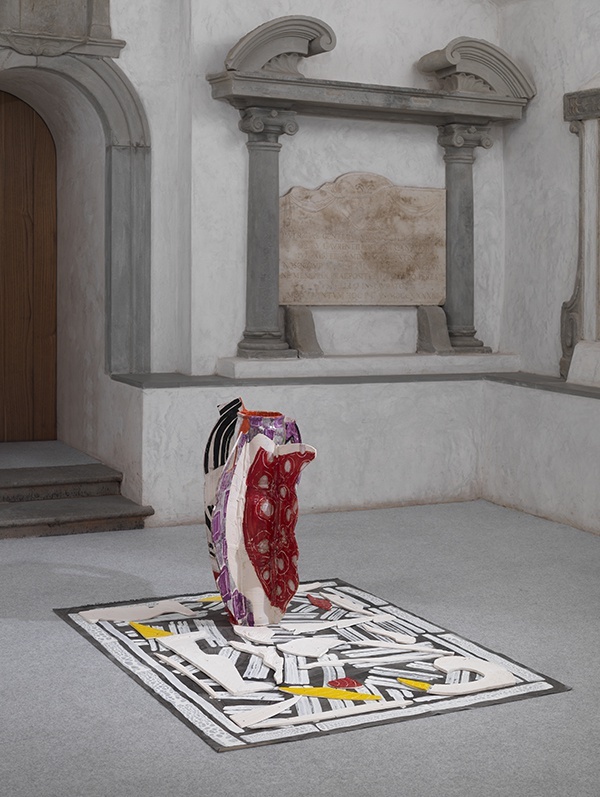 In the sacellum of the crypt, the iconic shape of the vessel is represented in its most three-dimensional form: Upon Vase Vase, Ariana, 2010–as the name suggests– subverts the traditional relationship between the sculptural object and its base, while in Aztec Vase and Carpet 1, 2012, the artist plays with perspectives, dimensions and shapes transforming the canvas into a typical household carpet. 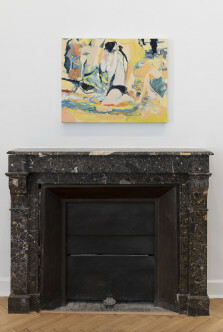 In the last room of the crypt, four paintings are on display: four different ways of dealing with the relationships between canvas and sculpture, between collage and painting, between what is included within the frame and what’s left out–but also four domestic environments, as suggested by the constant reference to the “room” in the title of the individual works. 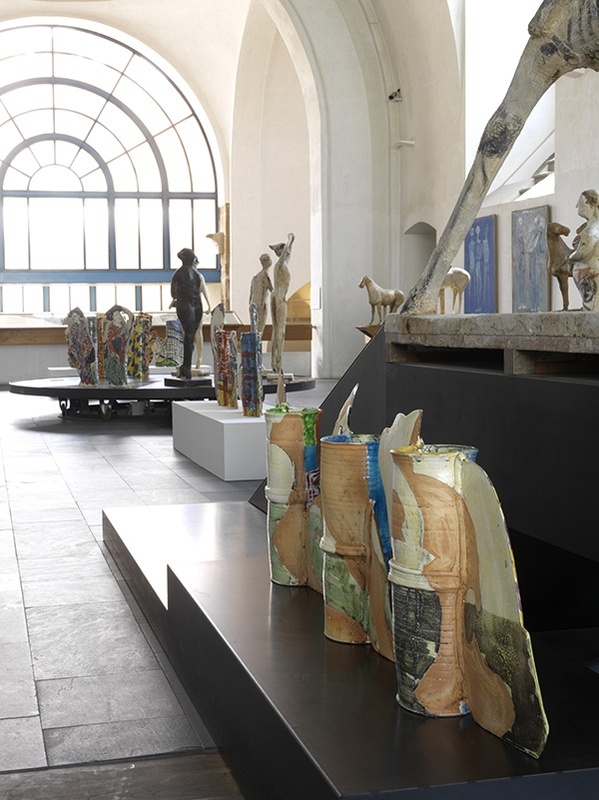 On the second floor the exhibition focuses instead on the close relationships between the work of Woodman and the sculptures of Marino Marini, which are permanently on view at the Museum. Like in a musical score, full and empty spaces alternate. 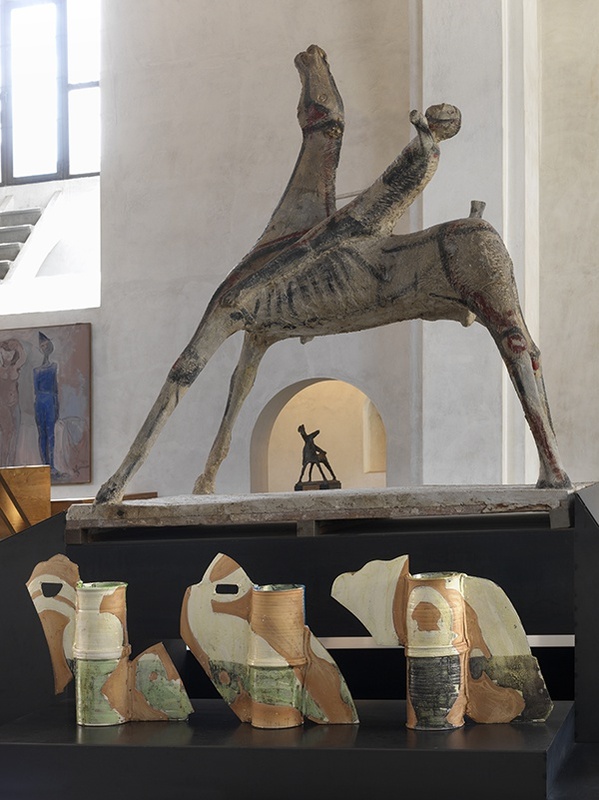 The sinuous and feminine shapes of the vessels (and of their painted motifs) interact with the full forms of the sculptures, also of women, realized by Marini; Woodman’s delicate and fragile ceramics are balanced by the firmness of the plaster and the eternal nature of bronze that marks the production of the Italian artist. 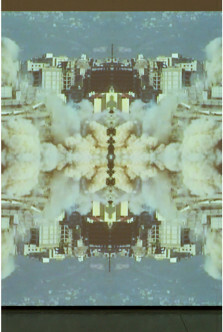 Different and far apart, the two artists appear here united by their passion for the creation of forms, made evident by the points of contact between their respective polychromatic approach. 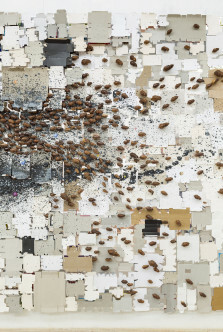 After the Marino Marini Museum, the exhibition will have a second stop at the ICA (Institute of Contemporary Arts) in London, from February 2 to April 10, 2016, where it will be re-organized and restaged, again curated by Vincenzo de Bellis. 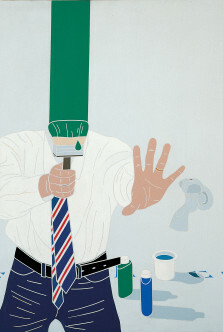 For the double exhibition, a monograph on the artist will also be published by Mousse Publishing, with the purpose of reinterpreting the developments and rediscovering her role within the history of American painting from the second half of the twentieth century to today.